Rabbi Richard E. Perlman was appointed as the Rabbi /Spiritual Leader of Temple Ner Tamid of Peabody, Massachusetts, on September 1, 2016. Rabbi Perlman founded West Bay Community Jewish Center, in Rhode Island, to fill the needs of the traditional conservative Jewish population of Rhode Island's West Bay. Prior to this, Rabbi Perlman held the pulpit and served as the Spiritual Leader, Hazzan, Director of Education and Executive Director at Temple Am David, a United Synagogue Affiliate, in Warwick Rhode Island, for 15 years. Rabbi Perlman received his rabbinic ordination in January 2012 and is the Vice President of the Vaad HaRabbonim D’America, (the American Board of Rabbis). Rabbi Perlman received his Yoreh Yoreh S’micha (Rabbinic Ordination), and also earned a T’udat Mashgiach (Kashrut Supervisor Certification) from the Vaad. Rabbi Perlman, also a Cantor (Hazzan), has been a soloist and a member of duets, quartets, and quintets including “The Cantors Perlman” in several cantorial concerts and worship services throughout the United States and Israel. 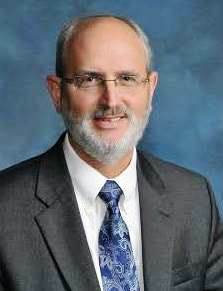 He has led services at Congregation Beth Israel in Bath, Maine and at Temple Beth David in Narragansett, Rhode Island. He taught Jewish studies in the South County Hebrew School and has been a visiting lecturer at many senior social organizations. Rabbi Perlman served as a Judaism lecturer at University of Rhode Island, Rhode Island College, The New England Technical Institute, LaSalle Academy as well as many various other institutions of learning around the state of Rhode Island. Furthermore, Rabbi Perlman has been instrumental in planning and leading numerous highly respected and well attended interfaith services with neighboring faith communities. Rabbi Perlman serves on the faculty of the Jewish Spiritual Leaders Institute, is a member of the Board of Directors of the Jewish Seniors Agency of Rhode Island, served as the treasurer of the agency and is a member of the Touro Fraternal Association as well as The Board of Rabbis of Greater RI. He serves as the Mashgiach liaison for the Phyllis Siperstein Tamarisk Assisted Living. He served for over five years as Chairman of the Bureau of Jewish Education of Rhode Island’s Principals Council. He is a past member of the Board of Directors of the Jewish Federation of Rhode Island, the Rhode Island Bureau of Jewish Education, the Rhode Island Holocaust Memorial Museum and the JCC of Rhode Island. Rabbi Perlman is active in the community, fulfilling interfaith work with the Peabody Clergy and Ministerial Association. He is also an active participant in the NSRCA (North Shore Rabbis & Cantors Association) and leads Shabbat evening services monthly at Brooksby Village. Rabbi Richard Perlman and his wife, Kit, are the parents of Jessica, Michael, Owen and Kristina, and grandparents of Brady, Bryce and Bennett.